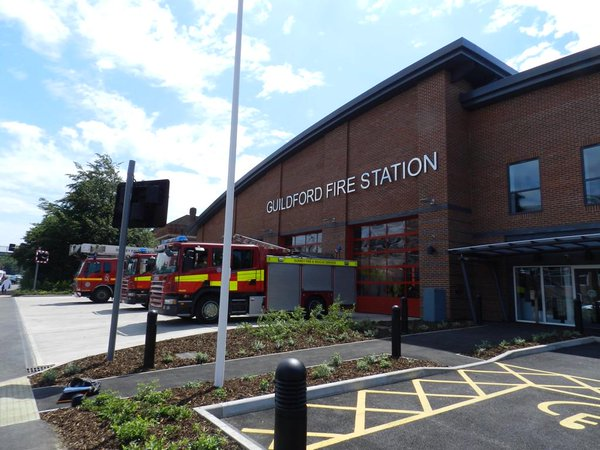 We were engaged by the architect to design, manufacture and supply a method of providing a multiple output charging system for the Surrey Fire & Rescue vehicle fleet at Guildford Fire Station. The solution comprises of a ventilated ceiling mounted enclosure with three retractable reels alongside, one for each output. The enclosure supplies 230VAC mains electricity from the building, converts this to 110VAC via a transformer, and 24VDC via our UPC 800 Power Charger, to give the three outputs. 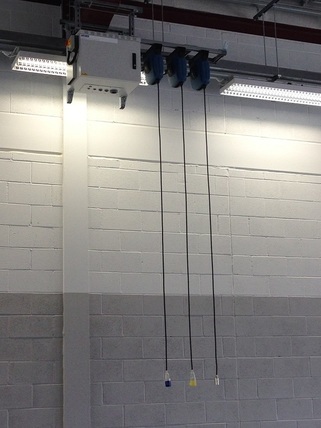 Each output is then available for vehicle connection via the retractable reels. 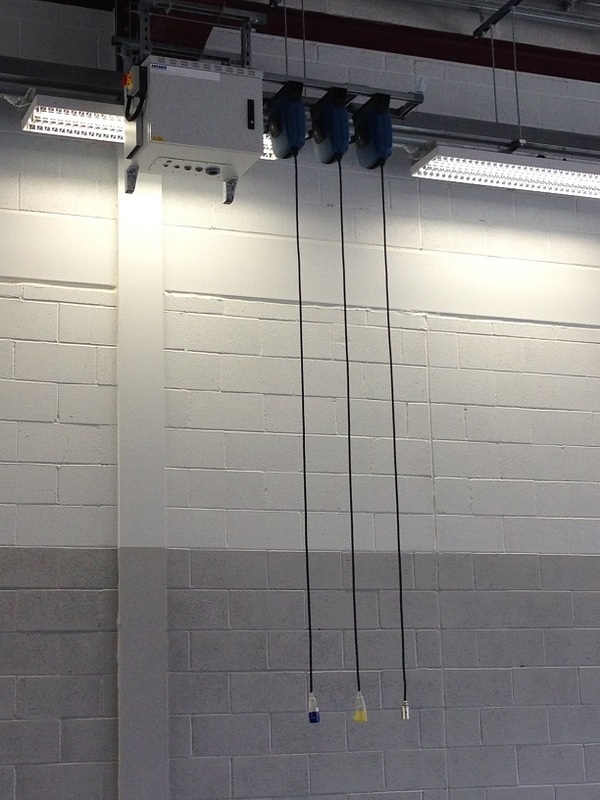 The DC system utilises a specialised technique to overcome the voltage losses associated with the small conductors in the cables and high ceiling drops. This improves the battery charging effectiveness during standby, when loads such as MDT and Comms are present. 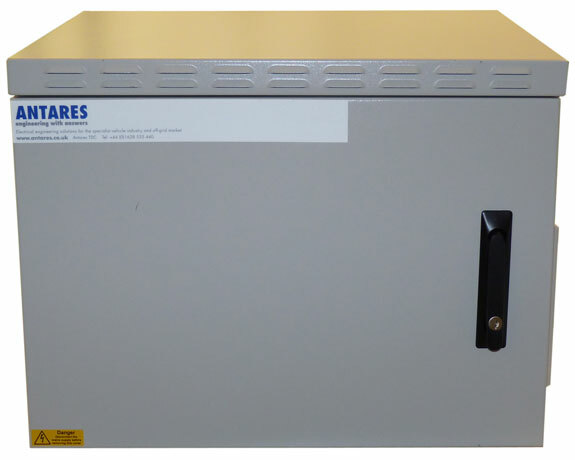 An IP66 rated enclosure was chosen to allow several of the units to be located outside of the building whilst still retaining a common design and rugged enclosure.